Ideal for outdoor parties or picnics, these Dear Zoo lunchboxes offer a fun and practical way to serve your party spread. 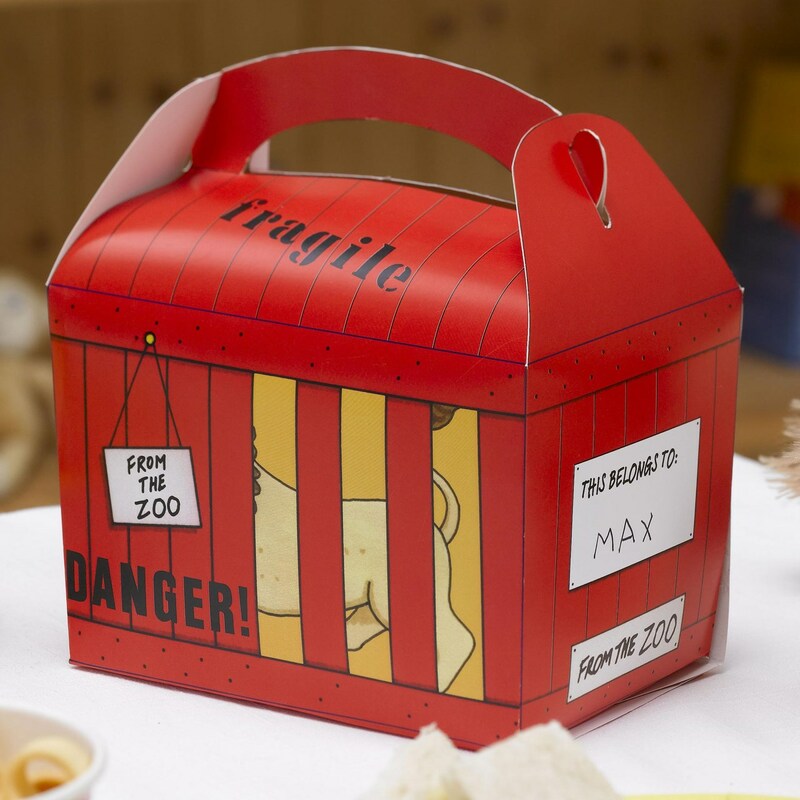 Based on the much-loved board book, and created with the full involvement of Rod Campbell, the lunchboxes have instant appeal for pre-schoolers and cleverly replicate the page featuring the lion in his cage, with Â‘fragileÂ’ written on the top. Easy to assemble, these cardboard lunchboxes hold a selection of party food and have a space to write each guest’s name. Part of a full range of Dear Zoo table ware and party accessories. Each pack contains 8 Lunch Boxes.